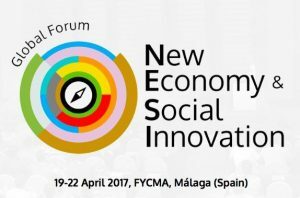 Here at the Network of Wellbeing (NOW) we are very excited that some of our team will be joining the New Economy and Social Innovation Forum (NESI) in Malaga from 19th-22nd April. There is a clear link between the economy and wellbeing, and this is our motivation for supporting NESI. As NOW’s Director, Roger Higman, explains, “more and more people are questioning whether the ways we organise our economy are working. 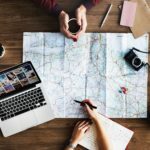 On the one hand, a very few seem to gain enormous wealth, while on the other hand, the wellbeing of many more is compromised by poverty, the need to work long hours for little reward or by growing insecurity. And all the while, human economic activity is harming the natural world, on which the wellbeing of us all ultimately depends. We clearly need new economic models, which place wellbeing at their heart. 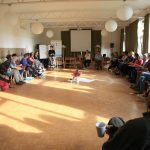 This is why we’re excited to support NESI, where there is an opportunity for those passionate about and working on new economic models can connect and support each other”. We will be co-facilitating a session at NESI on Wellbeing and Happiness as Policy Tools and Drivers of the Economy, together with representatives of the Gross National Happiness Centre. During this session we will explore several international good practices aimed at using wellbeing and happiness as policy tools. Based on experiences such as the Gross National Happiness of Bhutan, the Happy Planet Index of the New Economics Foundation and the Common Good Index of the Economy for the Common Good, participants will identify how to adapt and implement these tools at both the local and national level. 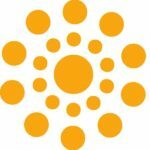 Through our website and social media channels, NOW shares relevant content about different issues and projects related to wellbeing, to inspire conversation and action on key topics. We plan to share highlights from NESI online throughout the event, so please keep an eye on our social media channels – Facebook and Twitter for highlights! 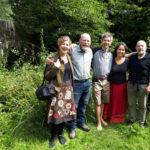 NOW is passionate about building wellbeing together, and through sharing inspiring ideas and examples of the links between wellbeing and the economy we hope to connect people, raise awareness and inspire action. This is another reason why we are so excited to be a part of the NESI Forum, an event with which we share a passion building valuable connections and strengthening collaboration. We look forward to NESI and to learning about and sharing the examples of new economic thinking we find there!